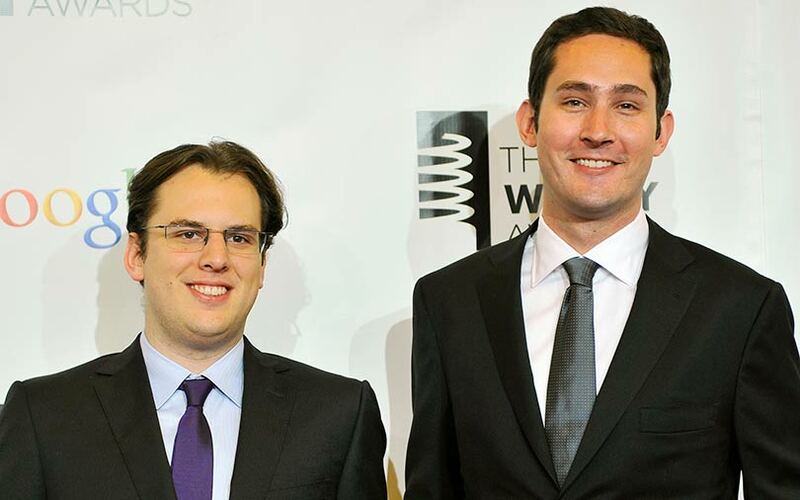 Instagram on Monday said co-founders Kevin Systrom and Mike Krieger have resigned as chief executive officer and chief technical officer of the photo-sharing app owned by Facebook Inc, with the pair giving scant explanation. The departures at Facebook’s fastest-growing revenue generator come just months after the exit of Jan Koum, co-founder of Facebook-owned messaging app WhatsApp, leaving the social network without the developers behind two of its biggest services. They also come at a time when Facebook’s core platform is under fire for how it safeguards customer data, and while it defends against political efforts to spread false information. Systrom wrote in a blog post on Monday that he and Krieger planned to take time off and explore “our curiosity and creativity again”. Their announcement came after increasingly frequent clashes with Facebook Chief Executive Mark Zuckerberg over the direction of Instagram, Bloomberg reported. In a statement, Zuckerberg described the two as “extraordinary product leaders”. “I’ve learned a lot working with them for the past six years and have really enjoyed it. I wish them all the best and I’m looking forward to seeing what they build next,” Zuckerberg said. Koum’s departure in May led to a reshuffling of Facebook’s executive ranks. Zuckerberg ally Chris Cox, who leads product development for Facebook’s main app, gained oversight of WhatsApp and Instagram, which had been given independence when Facebook bought them. Adam Mosseri, who had overseen Facebook’s news feed and spent a decade working closely with Zuckerberg, became Instagram’s head of product. Systrom and Krieger notified the photo-sharing app’s leadership team and Facebook on Monday about their decision to leave, Instagram said. Their departure would be soon, it said. The New York Times first reported the move. Facebook bought Instagram in 2012 for $1 billion. The photo-sharing app has over 1 billion active monthly users and has grown by adding features such as messaging and short videos. In 2016, it added the ability to post slideshows that disappear in 24 hours, mimicking the “stories” feature of Snap Inc’s Snapchat. The photo app’s global revenue this year is likely to exceed $8 billion, showed data from advertising consults EMarketer. Increased advertising on Instagram has seen the average price-per-ad across Facebook’s apps decline this year after a year of upswing. A new privacy law in Europe also has affected prices. Instagram had been hailed in Silicon Valley as a flashy acquisition done right, with the team kept relatively small and Systrom having the freedom to add features such as peer-to-peer messaging, video uploads and advertising. “I see Mark [Zuckerberg] practice a tremendous amount of restraint in giving us the freedom to run, but the reason why I think he gives us the freedom to run is because when we run, it typically works,” Systrom told Recode last June. The app’s latest product, IGTV, has been slow to gain traction. Offered through Instagram and as a standalone app, IGTV serves up longer-length video content, mostly from popular Instagram users. Video content has been a major emphasis for Facebook as it seeks to satisfy advertisers’ desire to stream more commercials online.